Rosalind “Roz” Cordini, JD, MSN, RN, CHC is a senior vice president and director of coding & compliance services with Coker Group. Ms. Cordini leads the coding & compliance service line, which focuses on Office of Inspector General program compliance, compliance effectiveness reviews, physician compensation governance procedures, governance education, and advisory services to boards of directors regarding compliance, virtual compliance officer services, provider documentation and coding audits, and other compliance-related services. These include physician arrangements audits, facilitation of root cause analyses/failure mode effectiveness, and criticality analyses for identified compliance violations, and mergers and acquisitions compliance due diligence. Additionally, Ms. Cordini’s legal experience helps organizations that are developing novel structures, such as clinically integrated networks, understand the statutory and regulatory environment surrounding these entities. While not providing legal advice to clients in these matters, she can provide invaluable guidance and advisory services that ensure the compliance of innovative integration of clinical providers. Ms. Cordini is also a registered nurse, certified in healthcare compliance and experienced as a healthcare regulatory attorney with a solid clinical and healthcare leadership background. 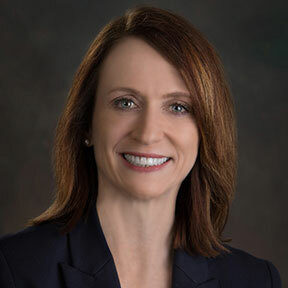 She is a frequent speaker on healthcare compliance, including the Health Insurance Portability and Accountability Act (HIPAA), electronic health record compliance concerns, population health management, and more. Served as the health system chief compliance officer and provided support to the hospital’s chief legal officer in managing the daily functions of the legal services division (legal services, privacy and security, compliance and internal audit, and risk management) for a large system in western Kentucky. As healthcare regulatory counsel in the healthcare practice of a large regional law firm, advised and counseled clients in a broad range of healthcare regulatory and compliance matters, including EMTALA, HIPAA, physician contracting, corporate compliance, clinical laboratory, audits, fraud and abuse, licensing and certification, Medicare reimbursement, end-of-life decisions, medical staff matters, and patient care/operations advice. As an executive in the healthcare industry, oversaw and directed the non-invasive cardiology and vascular labs, cardiac and pulmonary rehabilitation, cardiac catheterization and electrophysiology labs, open heart recovery unit, cardiovascular step-down unit, and respiratory therapy as the cardiothoracic and vascular service line executive with a sizable Kentucky-based hospital in addition to similar roles in critical care and emergency services for a large hospital in Omaha, Nebraska. Held responsibility for Joint Commission compliance, development and reporting of organization-wide quality initiatives, development of an effective medical staff quality structure, and facilitating the medical staff peer review committees, as the director of quality and medical staff peer review with a significant Kentucky-based hospital.